This verse is the summary of the previous verses. 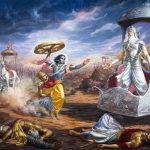 The Lord tells Arjuna that those who are purely in Krishna consciousness and do not know anything other than Krishna are called mahatma; yet there are other persons who are not exactly in the position of mahatma but who worship Krishna also, in different ways. 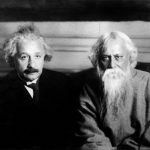 Some of them have already been described as the distressed, the financially destitute, the inquisitive, and those who are engaged in the cultivation of knowledge. But there are others who are still lower, and these are divided into three: (1) he who worships himself as one with the Supreme Lord, (2) he who concocts some form of the Supreme Lord and worships that, and (3) he who accepts the universal form, the vishvarupa of the Supreme Personality of Godhead, and worships that. Out of the above three, the lowest, those who worship themselves as the Supreme Lord, thinking themselves to be monists, are most predominant. Such people think themselves to be the Supreme Lord, and in this mentality they worship themselves. This is also a type of God worship, for they can understand that they are not the material body but are actually spiritual soul; at least, such a sense is prominent. Generally the impersonalists worship the Supreme Lord in this way. The second class includes the worshipers of the demigods, those who by imagination consider any form to be the form of the Supreme Lord. And the third class includes those who cannot conceive of anything beyond the manifestation of this material universe. They consider the universe to be the supreme organism or entity and worship that. The universe is also a form of the Lord. Thus in this chapter and the previous chapter the ananya bhakta, also called the mahatma (BG 8.15), is shown to be superior to the other devotees such as the one who approaches the Lord to rid himself of suffering. 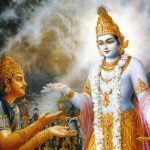 Now the Lord shows three other types of devotees who have not been mentioned previously, who are inferior to the previously mentioned ones: those who worship themselves, those who worship pratlka or secondary forms, and those who worship the visva rupa. Madhusudana Sarasvati explains the verse as follows. These others are unable to practice the sadhana of the mahatma mentioned previously. They worship by the sacrifice of knowledge mentioned in the sruti in this way: tvam va aham asmi bhagavo devate aham vai tvam asi: I am he and you are I. (Varaha Upanisad 33) They worship solely by a process of knowledge in which they identify themselves with God. Thus it is called jfiana yajna. Ca means “only” and api indicates that they give up other practices. Thus the meaning is: some, not desiring any other form of sadhana, worship me through the sacrifice of knowledge, denying difference, simply by contemplating the non-difference of the worshipper and the object of worship (ekatvena). These are the best of the three types. Inferior to this are others who, thinking of difference (prthaktvena) between worshipper and object of worship, worship me through sacrifice of knowledge in different external forms representing the Lord, according to the sruti statements such as adityo brahmety adesah: the sun is brahman, this is the instruction (Chandogya Upanisad 3.19.1) Others who are inferior to that, and are unable to worship either in non-difference or difference, worship me as the soul of all (visvato mukham), visva rupa, by many methods bahudha, by doing many activities and worshiping many devatas. According to the tantrika idea, one who does not identify with the deva cannot worship that deva: nadevo devam arcayet. Such worship in which one thinks, “I am Gopala” is called ahamgrahopasana. The worship of the vibhutis of the Lord, taking one and worshipping separately, is called pratikopasana. In such worship the person thinks, “The Supreme Lord Visnu is non different from the sun, he is not different from Indra, he is not different from Soma.” Worship of the totality of the vibhutis, thinking “Visnu is everything” is called visva rupa upasana. These are the three types of jnana yajna. Or the meaning of ekatvena prthaktvena can mean that the two states “I am Gopala” (oneness) and “I am the servant of Gopala,” (difference) are simultaneously contemplated by one person, just like the river going to the ocean is different and non-different from the ocean. In this case there are only two types of jnana yajna. 9.15 Other high-minded persons worship Me by singing My names, etc., already described; and they also perform the sacrifice called knowledge. They worship Me, who, by being ‘characterised by diversity in various ways’ in the form of the cosmos, is a multiform, namely, having all entities as modes (Prakaras) and also as One (the Prakari). The purport is this: The Lord Vasudeva alone, having the body comprising animate and inanimate entities in an extremely subtle form (in the state of Cosmic dissolution) incapable of distinctness by name and form, resolves by His unfailing true will power: ‘May I become embodied in gross animate and inanimate entities, distinguished variously by name and form.’ He alone then abides, with the variegated cosmos as His body, comprising gods, animals, men and immobile things. They worship Me by contemplating on Me thus. Therefore Sri Krsna declares: ‘I, having the universe for My body, alone abide’. The Supreme Lord Krishna exists in all places. This means that He is omnipresent everywhere in a unified manner and it also means that He exists in special forms authorised in the Vedic scriptures that have extraordinary attributes and phenomenal qualities. In the Sanat Sujati it is stated: In the four yugas or ages He is of whitish hue, reddish hue, blackish hue and golden hue. So the Supreme divinity may be perceived extensively in unlimited ways at all times as the one as the many and His own personal distinct forms as well. The knowledgeable and noble minded worship Lord Krishna in His own individual two armed form or in His four armed expansion as Narayana the Lord of Vaikuntha the eternal spiritual worlds. They also may worship Him as Caturvyuha or His fourfold expansions of Vasudeva, Sankarsana, Pradyummna and Aniruddha as well as any of the caturvyuha’s twenty expansions such as Keshava or Purusottama from Vasudeva, Govinda and Vishnu from Sankarsana, Narasimha and Vamana from Pradyumna and Hari and Damodara from Aniruddha. 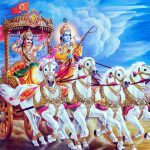 They may also worship Him as any of His sixfold incarnations being Purusa Avatars, Lila Avatars, Guna Avatars, Manvantara Avatars, Satyavesha Avatars and Yuga Avatars. The most excellent mahatmanas or great noble souls worship the Supreme Lord Krishna by jnana yagnena or propitiation by knowledge. Other mahatmanas chant His names and glories and also by propitiation of knowledge offering worship to Him in His universal cosmic form facing all directions in all locations as the all pervasive paramatma or supreme soul within all living entities. In the Chandogya Upanisad III.XIV.I it states: Verily the whole creation is brahman or the Supreme Lord’s spiritual substratum pervading all existence. Tranquilly one should worship it as the source from whence one came forth, as that source to where one will go hence and as that in which one breathes. All creation is verily the paramatma of the Supreme Lord Krishna. Everything is Lord Krishna, He is omnipresent, the highest person, the one and only Supreme Lord. He is realised as the universal cosmic form of all existence comprised of phenomenally unlimited variations of all animate and inanimate beings. The Katha Upanisad V.XIII states: The Supreme Lord who is constant among the inconstant, intelligent among intelligences, the one among the many, who grants desires. In the Brhadaranyaka Upanisad III.VII.II states: That he who dwells in the earth does not know whose body the Earth is or who controls the Earth from within is the atma or immortal soul, the inner monitor and controller. The Katha Upanisad V.X.XI states: As one wind has entered the world and becomes corresponding in form to every form, so the one inner atma of all things is corresponding in form to every form and yet is separate from them. As the sun which is the eye of the universe shining upon everything is not compromised by the external faults of the eyes; in the same way the immortal soul of all beings is not compromised by the evil manifesting in the world, being external to it. 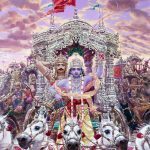 Thus the most excellent great souls worship the Supreme Lord Krishna as totally different from this universe comprised of animate and inanimate beings because although He is within all various diverse and variegated forms as paramatma He is completely unaffected by them. jñāna-yajñena — by cultivation of knowledge; ca — also; api — certainly; anye — others; yajantaḥ — sacriﬁcing; mām — Me; upāsate — worship; ekatvena — in oneness; pṛthaktvena — in duality; bahudhā — in diversity; viśvataḥ-mukham — and in the universal form.